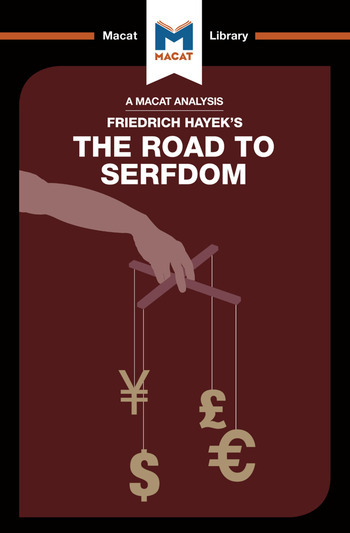 Friedrich Hayek’s 1944 Road to Serfdom is a classic of conservative economic argument. While undeniably a product of a specific time in global politics – which saw the threat of fascism from Nazi Germany and its allies beguilingly answered by the promises of socialism – Hayek’s carefully constructed argument is a fine example of the importance of good reasoning in critical thinking. Reasoning is the art of constructing good, persuasive arguments by organizing one’s thoughts, supporting one’s conclusions, and considering counter-arguments along the way. The Road to Serfdom illustrates all these skills in action; Hayek’s argument was that, while many assumed socialism to be the answer to totalitarian, fascist regimes, the opposite was true. Socialist government’s reliance on a large state, centralised control, and bureaucratic planning – he insisted – actually amounts to a different kind of totalitarianism. Freedom of choice, Hayek continued, is a central requirement of individual freedom, and hence a centrally planned economy inevitably constrains freedom. Though many commentators have sought to counter Hayek’s arguments, his reasoning skills won over many of the politicians who have shaped the present day, most notably Margaret Thatcher and Ronald Reagan. David Linden is doing postgraduate work on the new right at King’s College London. He works as an editor at the Svenskt Militärhistoriskt Bibliotek in Stockholm. Nick Broten is a doctoral candidate at the Pardee RAND Graduate School and an assistant policy researcher at RAND. He has carried out research projects on several topics, including accountability norms in nongovernmental organizations, the microhistory of health insurance institutions in Europe, preferential sorting for public goods, and the economic impact of weather fluctuations. His current policy interests include designing distribution methods for end-of-life care, closing labor market skill gaps, and understanding biases in risk-taking by venture capitalists. He holds an M.S. in economics from Caltech, an M.Sc. in economic history from the London School of Economics, and a B.A. in political economy from the University of California, Berkeley.